Kenwood KCA-MH100 1.8m Lead MHL Cable For Android Smartphone. Kenwood Lead MHL Cable is not only can audio and video data in the highest HD resolution and brilliant quality transfer, it can be during playback in addition. AERPRO FMT255. Plugs into your car's 12V or 24V socket, FMT255 allows you to play music from smartphone, flash drive or Micro SD card through your car stereo's FM transmission. On top of it, it also lets you make or take answer calls hands-free for safety. T HARNESS AUDI Compatible with the MMI Navigation system, 8 Speakers To suit A4 2009>, A4 Allroad, A5 2009>, A6 2009>, A6 Allroad, A8 2008>, Q5 2008>. Our T-harnesses let you integrate an additional device such as an aftermarket bluetooth kit into your car's factory radio and it's wiring. This allows your aftermarket Blue tooth kit to work with your car's speakers directly when on a phone call and revert back to the stereo when the phone is not in use..
Waterproof Marine Rubber Duck Dipole Flexible FM AM Radio Antenna for Boat Yacht ATV UTV RV Truck. This stereo has no CD player. Waterproof Marine Gauge Radio FM AM MP3/USB Stereo Receiver for BOAT ATV SPA UTV. Look in your glovebox, center console or armrest for the MMI connector. E-Class W212 2009 . Suitable for cars with MMI port (in glovebox or armrest). C-Class W204 2009 . Length : 30cm. Listen to MP3 music from your iPhone, Samsung or other MP3 device. 24V TO 12V 20A DC DC Step Down Waterproof Converter. 240 Watt Inverter for Car Truck Caravan. You will get one 20 Amp Inverter as in pictures. 100% full stable output current. Surface mountable. Work for appliances from 0.5 AMP to 20 AMP automatically. 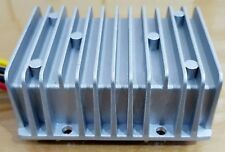 MICTUNING 12-Slot Large Capacity Relay Fuse Box - Holds 6 Relays & 6 ATC/ATO Fuses for Automotive and Marine Use. 1x Relay Fuse Box. Insert the tied wire into the corresponding slot from the back of the relay box. So what are you waiting for?. Need your car spare parts or accessories quickly?. Product Code:TEST-1. Faulty Product. Item Specifics. Certified & Secure. AUDIO PARTS. 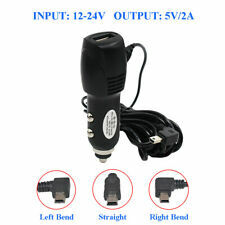 Car Auto Cigarette Lighter Male Plug to Raw Cable Eyelet Terminal. 15FT Length. 15A Heavy Duty Premuim Quality 16AWG Copper Wire. 15A Fuse included. Universal to any car devices with and - power input terminal. Red cable to device's positive pole, black cable to device's negative pole, simple and easy to use. Please mind that if your vehicle is 24V battery, you may need a converter to 12V to use this cable, or it may harm your 12V only devices. If you want a converter, please search this ASIN to buy: B01JAIC7OO Package Includes: 1 x Cigar Lighter Charger Extension Cord Raw Cable Eyelet Terminal Adapter (15 Feet 15A Heavy Duty) Features: . 24V TO 12V 10A DC DC Step Down Waterproof Converter. 120 Watt Inverter for Car Truck Caravan Bus. You will get one 10 Amp Inverter as in pictures. 100% full stable output current. Surface mountable. Work for appliances from 0.5AMP to 10AMP automatically. Sonar sensors detect obstacles in blind spots in a 3m x 3m area and within 120 milliseconds of the obstacle triggering the sensor. Blind spot detection technology Alarm unit (for audible warning of a vehicle in your blind spot). This handy unit adapts a high powered 50A Anderson® connector to provide two high current 15A cigarette lighter sockets. Perfect for powering portable fridges, cooking utilities, and more. Plug or Socket Type Anderson 50A 2 Pole. FEATURES Approved output socketAS/NZ approved 240V sockets. AS/NZ approved 240V sockets. Inverter designed to Australian standard AS4763. Cools inverter to allow it to work harder for longer. © Battery Wise. Google Pixel's, iPhone's & Samsung Galaxy phones. Bluetooth car kit handsfree all. Universal Bluetooth. The Bluetooth speakerphone'slight compact design (much smaller that other units on. with Bluetooth connectivity. ). Continuous Output Power: 75W. 1 X Car Inverter. Max Output Power: 100W. POWERFUL - Provides 150W continuous DC to AC power output, features with 110V AC socket plus ground and 2.1A USB port. tilt up and down, makes the power inverter can be plugged into almost any vehicle. Power up your 12-Volt device from Car lighter slot With switch button to master kill the power Universal Use For Monitor / Camera / CCTV / LED Coiled cord with 50cm long and with more than 95cm Build-in replaceable 3 Amp fuse to protect car For 5v 12v 24v 36v etc. 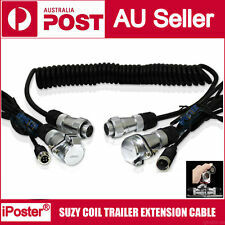 automobile device Cable Length (cm): Upstretched: 50cm Stretched: > 100cm DC Connector: 2.1mm Tip Positive Barrel Connector with Outer Diameter: 5.5mm Fuse: Build-in replaceable 3 Amp fuse (F3L 250V) LED Indicator: Light when power supplying Car Cigarette Lighter Power Cord for 12-Volt DC 2.1mm with 3 Amp fuse and LED indicator x 1 set. Double DISPLAY Pure Sine Wave power inverter 3000W Peak 6000W DC 12V TO AC 220V - 240V. 1 x 3000W DC 12V to AC 240V Pure Wave power inverter with LCD Display. Output Waveform :Pure Sine Wave. Start : Soft Start. Vendor: Schosche. Compatible with all cars, trucks and RVs with OBD II interfaces. Displays Speed in MPH(or Km/h), Engine RPMs and Status Indicators. Heads Up LED Display. Heads Up Display. Multi-color 3.0" High Bright LED Display. All Oppo phones. 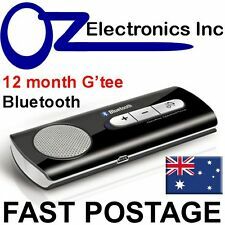 Bluetooth car kit handsfree for all iPhones all Samsung Galaxy, all Nokia &. Universal Bluetooth. 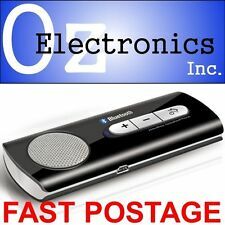 The Bluetooth speakerphone'slight compact design (much smaller that other units on. with Bluetooth connectivity. ). 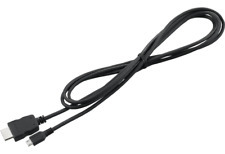 Available for cars with an OBD2/ EUOBD interface; Plug the OBD cable into your car's OBD. But above all, it can enable the driver to read the number instantly without shifting horizon, which is of vital value in reducing traffic accidents caused by absent-mind due to looking down. Pocket DAB / DAB Digital & FM Radio with Bluetooth Handsfree & MP3 Player, Headphones & USB Charging Cable Included - Black. This Pocket DAB / DAB Digital & FM Radio is amazing! Easy to use with simple buttons and a clear screen, couldn't ask for a better product. The Racing Max Speed EGT gauge is a great addition to any vehicle allowing you to monitor your exhaust gas temperature and set a custom warning level. Type: Exhaust Temp Gauge. 1 x DC 12V LED Exhaust Temp Gauge. Featuring greater starting power than modified sine wave inverters allowing it to start more of your favourite appliances. FEATURES Approved output socketAS/NZ approved 240V sockets. This 600W inverter is loaded with features found on larger models and is suitable for powering lightweight household appliances.